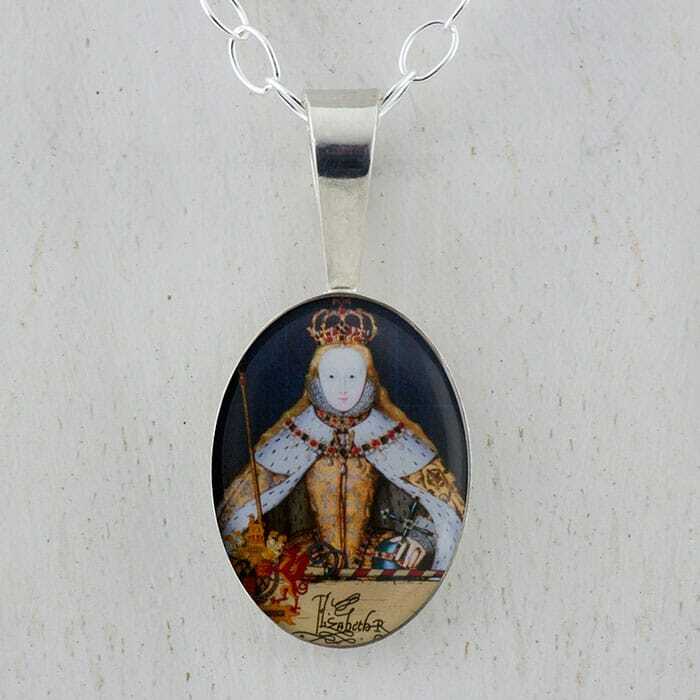 This beautiful, unique and collectible pendant features Queen Elizabeth I in her Coronation Robes patterned with Tudor roses and trimmed with ermine. The minuscolo pendant is available in an mini oval or mini round shape. 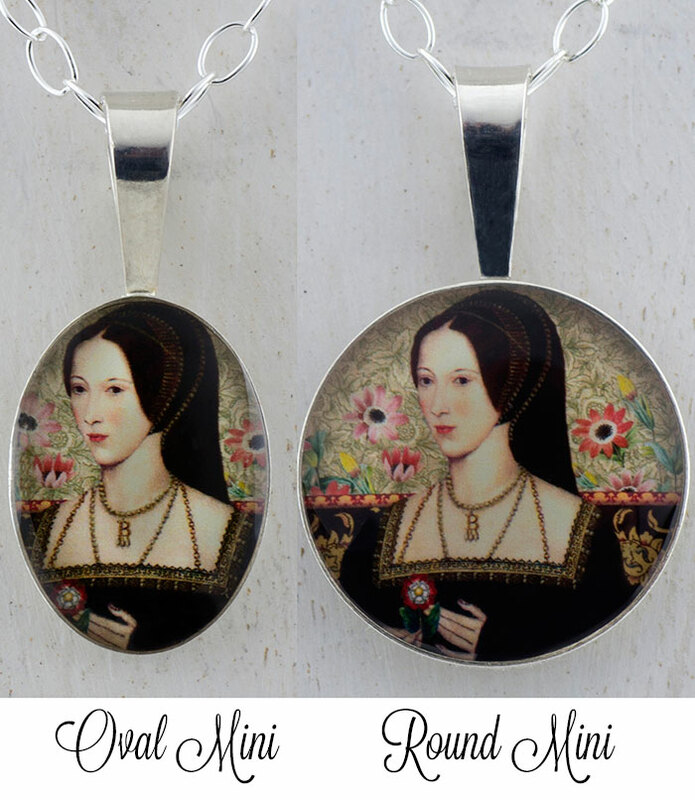 Each pendant comes complete with a 16" sterling silver cable chain.